There are Red Cross and Red Crescent chapters in 190 countries around the world, and no two chapters do things exactly the same way. So the Red Cross that 16-year-old Anja Micko sees in Ellensburg WA, where she is an exchange student, is very different from the Red Cross she is part of back home in Austria. Anja is active in the Youth Red Cross in Austria, a program for which there is no exact counterpart in the United States. Austrian Red Cross volunteers serve as paramedics, something Anja plans to do when she reaches the minimum age of 18. That is not a function the Red Cross routinely does in this country. On the other hand, Anja is deeply impressed with the way the American Red Cross aids victims at disaster scenes. “I can just see the passion in her eyes for disaster response,” says Jenny Carkner, a veteran Red Cross volunteer in Ellensburg serving as Anja’s Rotary Club counselor. A Rotary Club program brought Anja to the U.S.
Anja and Jenny are able to share a great deal. It was not really planned that way. Jenny discovered Anja’s links to the Red Cross only after the girl arrived here in Washington. “I discovered that Anja had volunteered for the Red Cross in Austria; that she had a real passion for serving with the Red Cross,” Jenny says. Anja comes from a small town just south of Vienna. Her mother is a school teacher and her father makes sophisticated maps for the city of Vienna. Her Youth Red Cross group functions on many levels. There is the social aspect to the weekly meetings — a place for teens with shared interests to meet. But there is also a learning side to the meetings. So, the youngsters are trained in such skills as first aid — useful in itself, but important given the role they will play as paramedics. Once a year, all the Youth Red Cross groups from throughout Austria meet at a camp for a skills competition. The group also carries out projects to aid the community. Anja says they recently came across a family with disabled members. Her group did artwork, and sold it to raise money to make the house more suitable for its disabled residents. Anja says she first wanted to do a student exchange when she was 12. “I love traveling,” she says, “and I wanted to improve my English.” She picked four countries she was most interested in — the U.S., Canada, New Zealand and Malta. “The Rotary sent me to Ellensburg,” she says. She will be here until June. Jenny’s job as Rotary counselor to exchange students is to help them adapt to life in the U.S. The process was helped immensely by the common interest in the Red Cross which Jenny and Anja share. 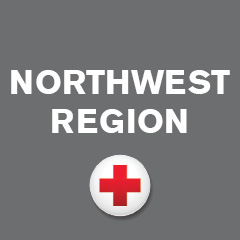 Jenny’s ties to the Red Cross are long-standing — back to the days of Hurricane Katrina in 2005. She is now a financial advisor for the Edward Jones brokerage firm (as is her husband Jim). Back in 2005, she was a stay-at-home-mom. She volunteered with the Red Cross right after Katrina, and spent three weeks deployed to Mississippi. Since then she has deployed to disasters more than a dozen times. She drove a box truck at Hurricane Sandy response in New York, but these days mostly works in operations management or as a government liaison at disaster scenes. Her most recent deployment was to the Hawaiian volcanic eruption last spring. Besides being a veteran volunteer, Jenny also spent time as a paid Red Cross manager — as executive director of the organization’s Kittitas County office in Ellensburg. She stepped down from that job in 2013 to devote more time to her family, and joined Edward Jones in 2015. Now, Anja says, she is looking forward to going back to Austria where she can share the American Red Cross culture with a Red Cross program that does things just a little differently.